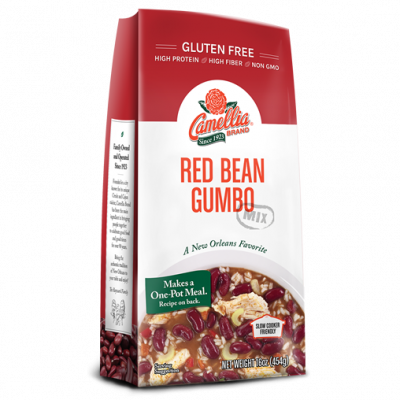 As the slower pace of summer starts to fade, and you’re looking for easy, back-to-school weeknight meals to add to your repertoire, pull out the slow cooker and put it to work with this delicious Red Bean Gumbo Mix. 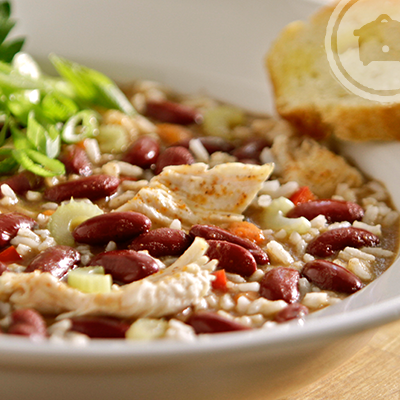 With easy to follow instructions and bold flavor from a savory, smoky, spice packet, this gumbo is actually a hearty, stew-like alternative to traditional red beans & rice — incorporating browned, boneless chicken breasts, sautéed chopped onion, celery, carrot, chicken broth, red beans, and rice. 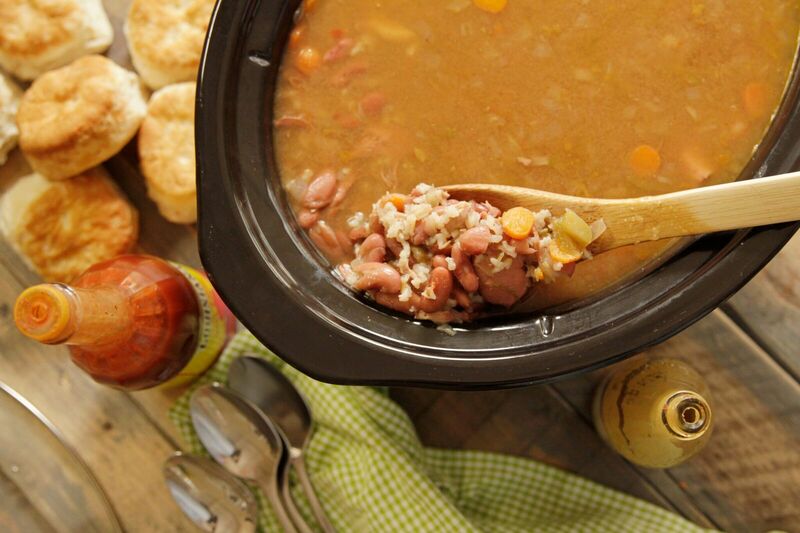 We all know that slow cookers are super convenient for simple fall and winter comfort foods, but when it’s still too hot to use your oven, they’re perfect for beating the heat and getting a make-ahead meal on the table with minimal fuss. And that’s what this recipe does — beautifully. 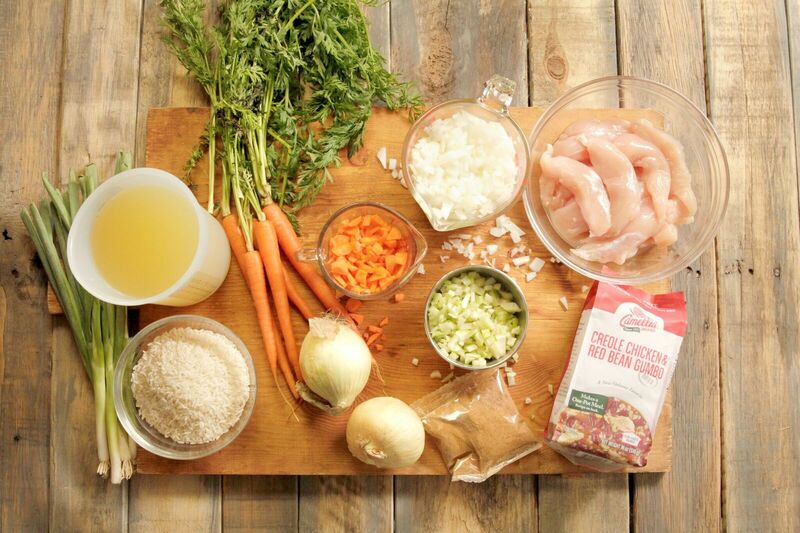 All you do is add a few fresh ingredients and simmer. Following the recipe on the back of the bag, simply coat the chicken with about 1/3 of the spice packet to get the flavor going, and brown in olive oil. Then set the chicken aside, and sauté the chopped onion, celery, and carrot in the same pot, with a little more oil. 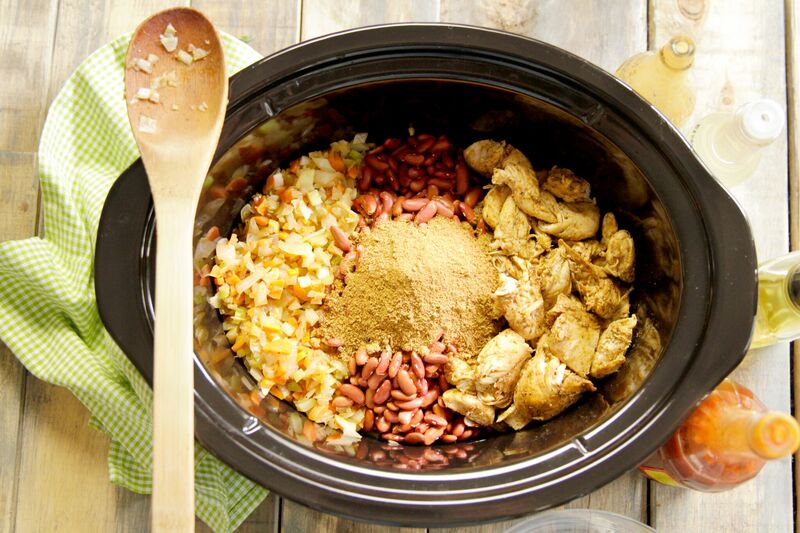 Throw it all in the slow cooker, along with the rest of the spice packet and rinsed red beans. 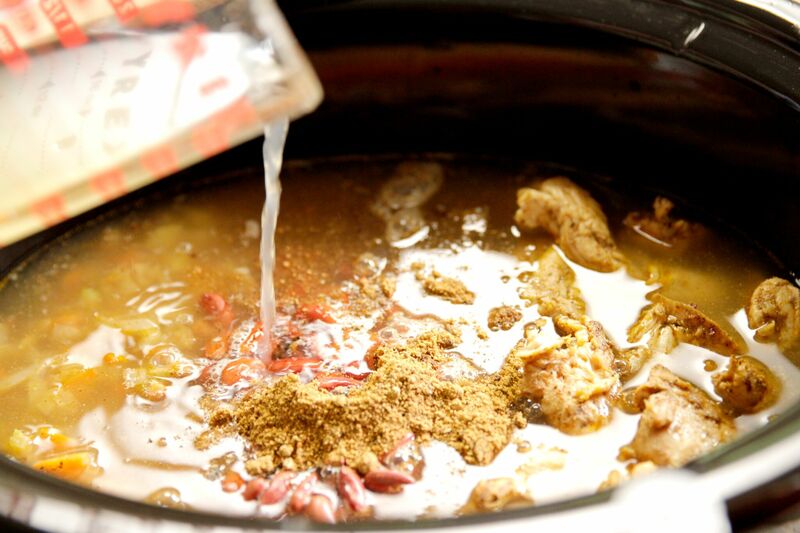 Add the chicken broth, stir, and set the slow cooker for 6 hours on high or 12 hours on low. Let it bubble away during the day, so that you can come home to a warm, nutritious meal. Add the rice during the last hour or so of cooking, and soon enough, you’ll be ladling the gumbo into serving bowls and topping with chopped green onions. 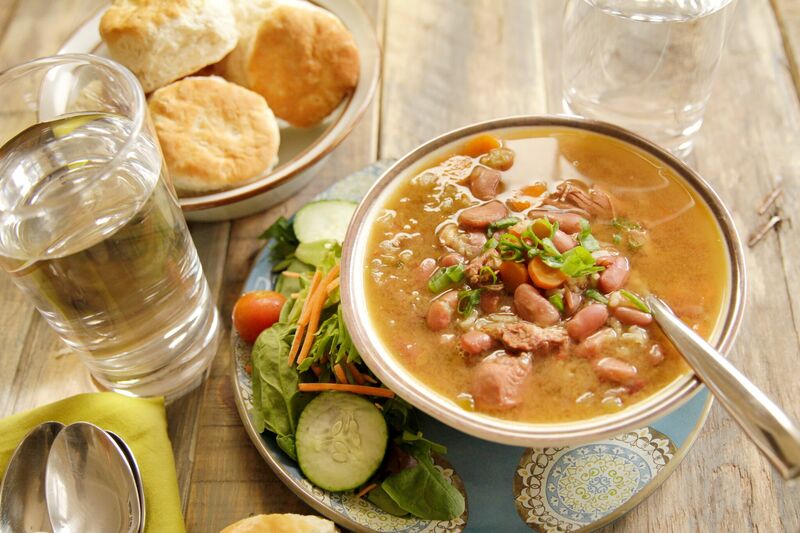 Once the gumbo is finished cooking and the rice is tender, add a beautiful green salad, some warm biscuits, and call your crew to the table. Dinner’s ready. Using 1/3 of the enclosed spice packet, liberally coat the chicken. In a large heavy pot, heat 1 tablespoon of oil. 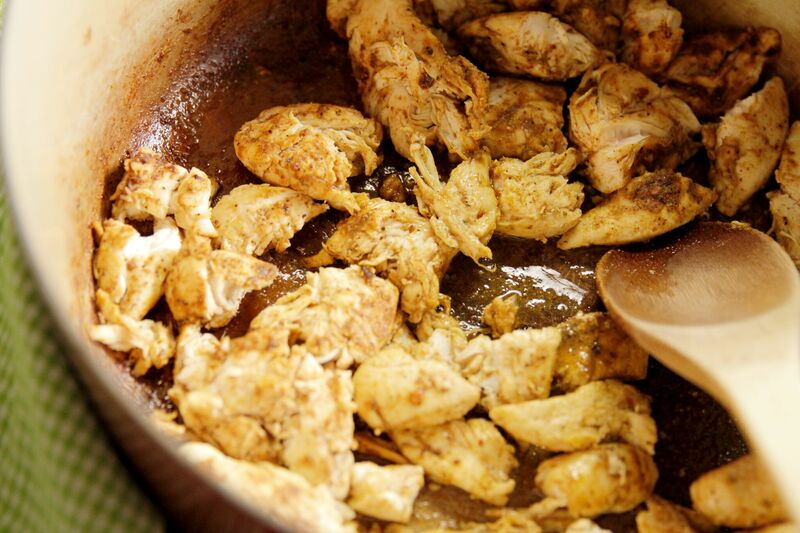 Brown chicken pieces in oil, then transfer chicken to the slow cooker. 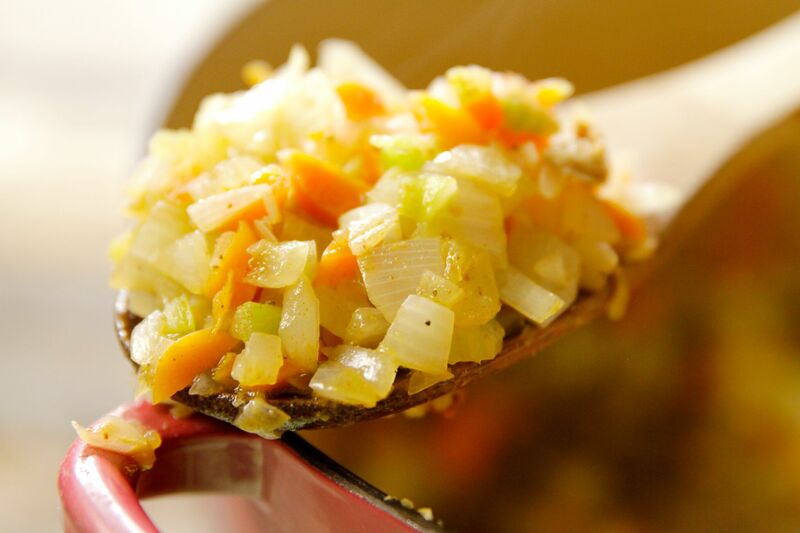 Add the remaining oil, onions, celery and carrots to the same pot. Sauté over medium high heat for 5 minutes, or until vegetables begin to soften. Transfer sautéed vegetables to the slow cooker. 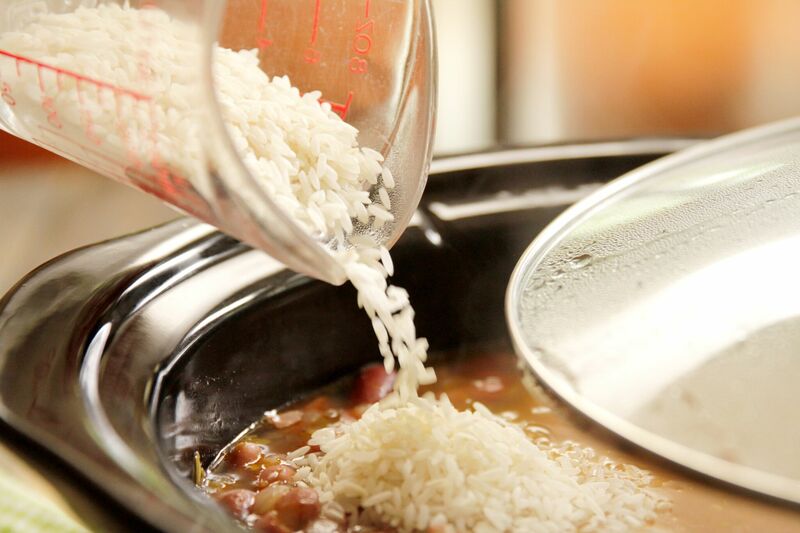 Add rest of spice packet and remaining ingredients, except the rice, to the slow cooker. Cook for 6 hours on high, adding the rice for the last hour of cooking, or for 12 hours on low, adding the rice for the last 90 minutes. Recipe requires a 6-quart or larger slow cooker.